The question from a co-worker came as our department sat down at a dim sum restaurant. The restaurant was busy with a lunchtime crowd, and our group took up two large round tables in a private dining room. Already the lazy Susan was laden with dumplings, and another cart filled with delicious food was being wheeled into the room. Everyone was grabbing steamer dishes and exclaiming over flavors. As noted in my recipe for Roasted Carrots, I roast almost all of my vegetables. They simply taste better that way. There are two keys to roasting vegetables: high heat and evenly sized vegetables. Oh, and some olive oil, salt, and pepper. Everything else is just a variation on the theme. Also, don’t crowd your vegetables, and make sure as much of the vegetable as possible is touching the pan. It’s that contact with the heat that matters. Here are a few more tips on roasting vegetables. If I’m using my oven to roast veggies, I cook in the upper third of my oven and turn once or twice during the cooking process. If I’m using the grill, I keep an eye on the vegetables to ensure even browning (versus, you know, burning). You want to achieve a nice level of caramelization — a deep golden brown shade. Preheat your oven or grill to 425 degrees. Make sure your vegetables are about the same size. Add salt and pepper to taste. Other herbs and spices can be used as well. Cook for approximately 30 minutes, or until you have a good number of caramelized spots. Turn once or twice during the cooking process if necessary. 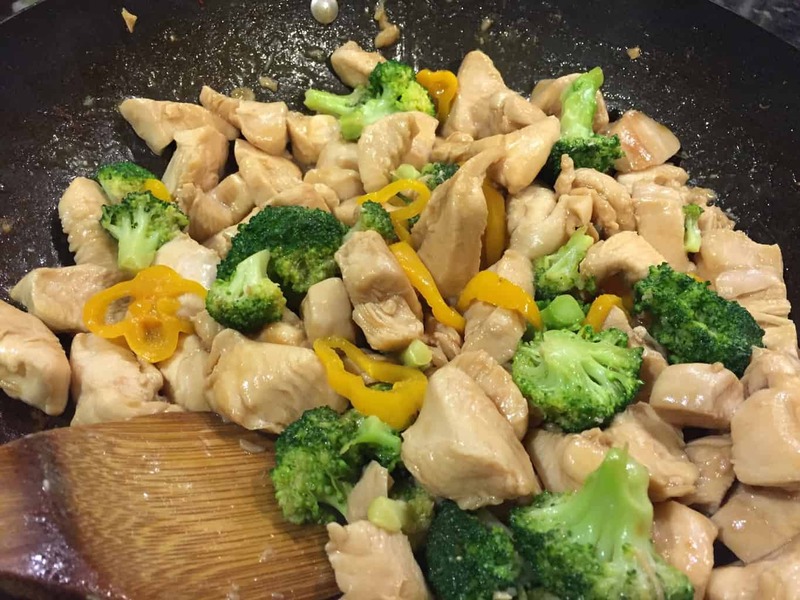 Different veggies cook at different times, so pay attention! So what can you roast? Read on, my friends, read on. This is, obviously, not a complete list…use your imagination. Asparagus. Break off the woody ends, otherwise leave whole. If you’re adding to a pasta, you can cut into smaller pieces, then roast. Asparagus cooks pretty fast, so check at the fifteen minute mark. Bell peppers. Cut into strips and roast. Broccoli. I love roasted broccoli. Cut into 1 − 1 1/2 inch florets. The ends will get very brown, but that’s a good thing. You can also roast the stems. Cauliflower. Oh, roasted cauliflower is especially good (and use the leftovers as the basis for a great soup; or just, you know, roast the cauliflower for the soup). Cut into 1 − 1 1/2 inch pieces. Or make roasted cauliflower “steaks”: cut the head of cauliflower into 1/2 inch thick slices, brush olive oil onto both sides, add salt and pepper, and roast, turning once. Yummy! Parsnips. Roast like carrots — diagonal chunks or whole (cut in half if the parsnips are especially thick). Sweet Potatoes. Cut into 1-inch chunks, and serve as a meal or make part of a great sweet potato salad. You’re welcome. Turnips. Cut into 1-inch chunks and discover what you’ve been missing all these years. Zucchini. I usually cut my zucchini in half or quarters (lengthwise) and roast away. 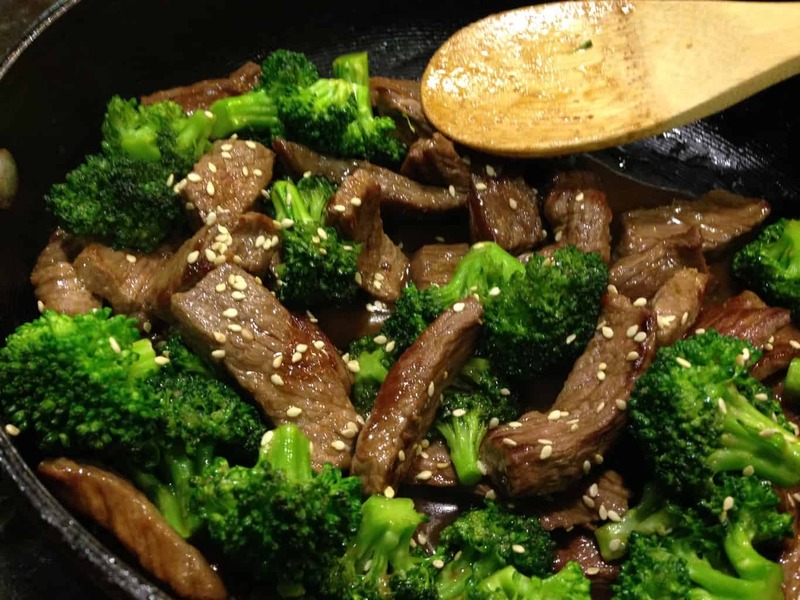 This is a quick and easy way to serve broccoli on a hot summer night (or any other time!). It’s a great salad for parties as well. The buttermilk dressing is creamy and refreshing. The nuts and berries add tastiness, and experimenting with flavors is a definite bonus in this salad. 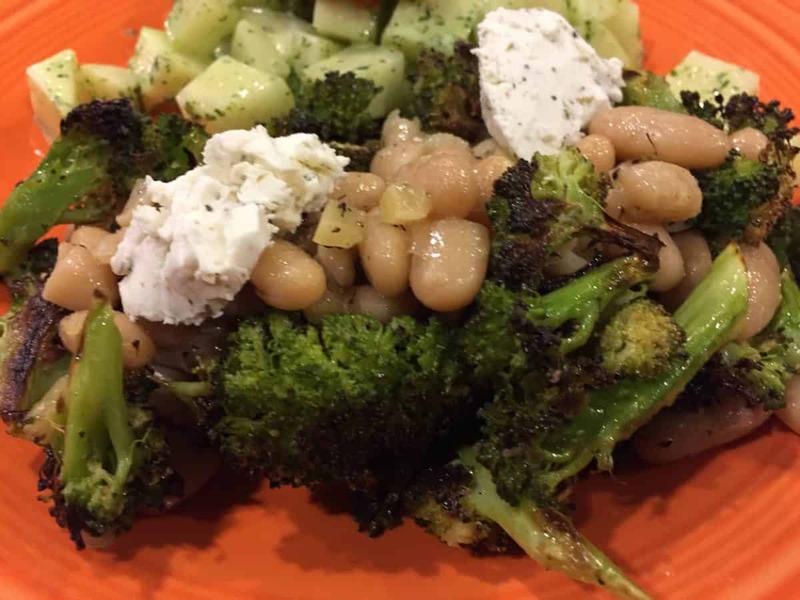 The broccoli can be just the florets or a mix of florets and stem (the stems add a lot of body to this salad. If you aren’t into the stems, omit them. You’ll probably end up with more dressing than you need. If it’s too thick for your taste, thin it with a bit more buttermilk. If you’re making the salad in advance, use some of the leftover dressing to freshen up the salad right before serving. Or, use the dressing on you favorite green salad.